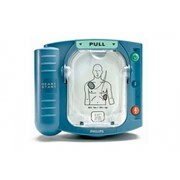 The Heartstart HS1 Defibrillator is designed for easy of use so that you can potentially save the life of a co-worker, friend, or anyone else stricken with sudden cardiac arrest. The high current/low energy therapy ensures a potent defibrillation dose, while minimizing side effects that are harmful to a fragile heart. So the HS1 can deliver its most powerful therapy from the very first shock. Recent studies have shown that CPR is even more vital to survival than previously realised. Yet its benefits dissipate in seconds. 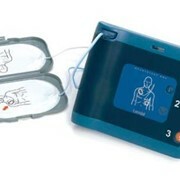 Delivering a shock quickly after chest compressions is critical. 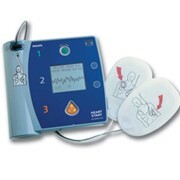 The Heartstart HS1 Quick Shock feature delivers therapy in just 8 seconds typically after chest compressions. 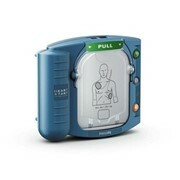 Other devices can take 2 or 3 times that, reducing the likelihood of shock success, and potentially survival. Located in Malaga, Perth we are an Australian owned company and our extensive range is sourced from leading manufacturers. We are the respected choice for reliable supply of all of your OH&S requirements. We have been supplying industry for over 35 years, including remote areas sites, everything from a bandaid to an ECG machine and all products in between. We make meeting your OH&S needs easy. We will source any product you require and get it to your workplace with a minimum delay. We can also tailor products to suit your requirements and individual circumstances. Located in Malaga, Perth we are an Australian owned company and our extensive range is sourced from leading manufacturers. We are the respected choice for reliable supply of all of your OH&S requirements. We have been supplying industry for over 35 years, including remote areas sites, everything from a bandaid to an ECG machine and all products in between. We make meeting your OH&S needs easy. 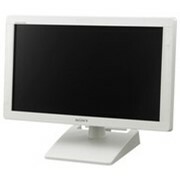 We will source any product you require and get it to your workplace with a minimum delay. We can also tailor products to suit your requirements and individual circumstances. Mention MedicalSearch so Sanax can best assist you! Get a callback from an expert at Sanax to help answer your questions.